SIPS will first compile information on client’s priorities and “brand values” for the Chinese market, preferences of the client regarding the proposed Chinese mark (transliteration, translation, other), the history and goals behind the proposed English-language mark and other relevant information. We will then provide preliminary feedback on possible directions for Chinese naming, including illustrative proposals, and seek feedback on same from the client. Next, we will then generate ten or more candidate marks and conduct preliminary clearances of at least five of these in the PRC, Hong Kong, Macau and Taiwan. All candidate marks will be reviewed by speakers of several Chinese dialects in order to ensure their suitability in pronunciation, meaning, etc. Finally, SIPS will be available to provide up to two hours of time responding to follow-up questions from the client regarding the candidate marks or the results of preliminary trademark searches. If desired, we can conduct full clearance searches on one or more candidate marks in the normal course, as well as advice on filing strategies in the target markets. A brief paper setting out proposed directions in naming strategy, including candidate marks that are illustrative of these directions and a rationale behind the suggested directions. Feedback will then be sought from the client to ensure that the next phase of work is aligned to client’s preferences. A table of ten or more Chinese-character candidate marks will be provided in a graph with pronunciation and meaning and other comments offered. The information provided will help the client to understand not only the literal meaning of the marks but how their brand appeal might resonate with target consumers. Any potential negative connotations or weaknesses in the candidates will be highlighted for the sake of completeness. 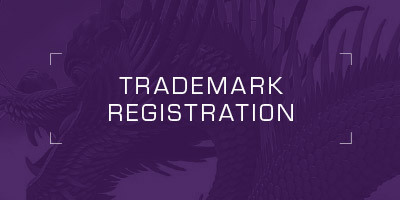 An additional table will be provided that sets out the results of preliminary trademark searches in the PRC, Hong Kong, Taiwan and Macau. The table will offer basic details of marks revealed and cursory comments explaining the risks posed by these marks. NB: Detailed advice can be provided separately at additional cost. Likewise, searching of Chinese candidates in other markets where Chinese character marks are sometimes registered, such as Singapore and Malaysia, can be provided upon request. This document will identify three to five marks which SIPS believes to be the preferred candidates and set out a brief rationale for our recommendation. The candidates selected will likely include marks which appear to be relatively clear for use and registration, unless the mark appears extremely attractive and the potential conflicts seem to be resolvable through limited additional steps, such as non-use cancellations, etc.